Ah, Twitter. What a confusing creature you are to me. But yes, I’m back to trying to understand and use Twitter. In theory, it should be a thing I love. Something quick to read. Nothing too taxing on my small brain. A few links. Even the odd picture. But no, it’s something I’m struggling with. However, I’m taking on being a bit more active in the Twitter-verse. But also I want to understand it so I can increase our 5/5/5 social media presence. Even if I eventually don’t go the Twitter route, I still want to, you know, get it. I want to live in the year 2014 and not hide out in 1980 when the world was simple and rad. So here are my challenges. How to find interesting people to follow (and who’ll be interested in anything I have to say?). It’s tough to read through people’s bios and figure out if there’s a connection. Maybe that’s the wrong way to go. Maybe I need to just spam everyone. I don’t want this to occupy my whole time. I want this to be quick. Easy. I can’t forsake writing to be the king of Twitter. Or the court jester of Twitter. Maybe that would be my title in Game of Thrones. 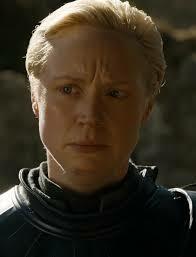 “Good morning, Brienne of Tarth, I am Joe of Twitter.” “Where is Twitter?” “It is nowhere and everywhere.” And then shakes her head and she stabs me with her sword. I want to figure out a way to get people to read my blog via Twitter. I thought of putting ‘naked women’ in my titles but wouldn’t that just drive pervs to my feed? They’re not exactly my target audience, some of my posts to the contrary. I don’t want to wake up feeling like I have to feed the beast every day. It’s a lot of work and guilt that I don’t need. But I do realize that the beast has to get fed, so I’ll kick up my game with posts. I am old, and new things are tough for me to learn. Eating pie is easy. I’ve done it a ton before. But learning something new and all techie and complicated, yeah, not my favourite thing. I have to be able to overcome the inertia of doing the same-old-same-old and overcome the confusion and terror of learning something hard. So, anyone know how to make this easier? I hear wine helps. In other news, the journey to a new book begins, like Silk and Paula and Karalee have posted. Here’s the new running update. Ordered and received a book I’m going to dissect to learn how to write my book. I won’t copy it, but I want to understand the beats and pacing better. 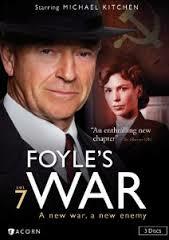 Ordered and received Foyle’s War DVDs. I’ll be writing a story set in WW2 and I’ll be doing all kinds of research, but for me, seeing something, looking at the fine details, is the best thing I can do. This entry was posted in Social Media and tagged brienne, brienne of tarth, foyle's war, game of thrones, hashtags, pie, Quotes, retweets, SiWC, tweets, twitter by Joe Cummings. Bookmark the permalink. I feel exactly the same way about Twitter. EXACTLY. Thanks for clarifying my conflicting feelings about investing time and effort into this enigmatic little social dictatorship. You know that birds are actually teeny tiny dinosaurs, right? I have to admit that whenever I think of Twitter, images from Hitchcock’s “The Birds” spring to mind unbidden. However, I’ll screw up my courage and expose myself to the world of tweets if you’ll hold my hand. And if I don’t have to, like, RUN or do anything else on a really urgent basis. You can connect to like-minded people through Twitter and discover them from around the world. Writers, photographers, kale-lovers or whatever. It can be lots of fun, but connect with those that interest you. Then the networking can expand to their followers, etc when you have something globally to offer such as your book or blog. Time is the difficulty and I haven’t figured out how to create more! Oh, Karalee, you are my twitter guru. expect a call in the next few days. So, I have 658 followers on twitter, but only a tiny few every send me a meaningful tweet or even indicate they know I’m alive and well in the Twitterverse. I am also, on the other side of this unmatched scale, following 2001 Twitterers. I’d follow more, but Twitter ‘penalizes’ you and won’t let you follow more people and organizations, if you do not have enough followers. Tweets get followers. 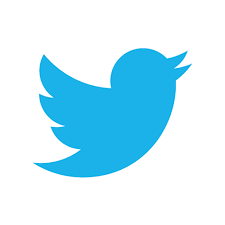 So, you must ‘tweet’ regularly to get more followers, and when you get enough, you can follow more people of interest and so on and so on and so on. That is what I have learned about Twitter, when I’ve bothered to look. For me, the most useful part is getting an interesting ‘feed’ of twitter post tweets from ‘Twitterers’ I’m interested in. But I know I’ll have to work harder to get people interested in me, my business, and my writing. Good luck figuring it all out! I made my twitter account (@apprenticeali) private because I was tired of spam and pervs following me. Making your account private means you have to allow them to follow you. It’s basically quality control. I don’t tweet a lot but I often retweet others’ posts. In doing the latter I’ve found other cool people to follow or have read snippets of news, jokes, seen photos that I have found inspiring. That inspiration has in turn lead me to write, paint, etc. If you follow someone new, it helps to tweet them so they know you’ve followed them. People with public accounts can be followed be eons of people they don’t know and I don’t know if they’re notified of new people following them (I don’t think I was notified when I had a public account but I don’t quite remember). They might not tweet or follow you back but at least you’ve tried to make a connection. In my experience, I find twitter great when it comes to getting inspired. From a business perspective, it takes a long time to establish yourself. There is so much on twitter that tweets get lost. Twitter has done nothing for my jewellery career yet Facebook which I abhor has sold me diamonds. Don’t stress about twitter. It’ll be what it needs to be for you. If it’s going to work, it will do so on its own with time. Have fun! This is awesome! thanks, Alicia. Real life advice! You’re the best! Good Luck Joe. You are miles ahead of me already! Enjoyed your thoughts and pie eating.